It’s Halloween so we’ve been reading A Spooky Tale- A Walk With Our Teacher this week, a gripping children’s book by Sue Wickstead. Enthralling– My children were captivated by this exciting book. Each page we turned we wondered what we would see next! From bears to giant caterpillars- the book is truly unpredictable. 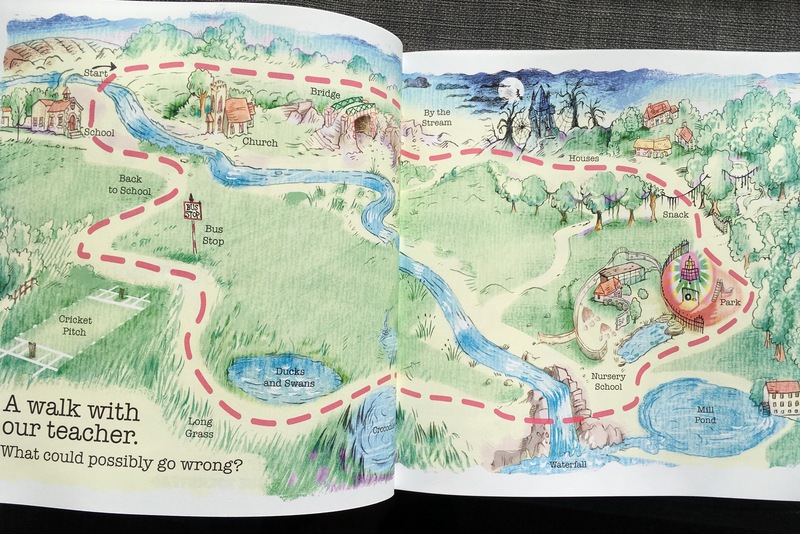 Mapped out– We loved that the story is quite literally mapped out, with a book of the children’s journey at the front of the book. This is brilliant for encouraging discussions afterwards. 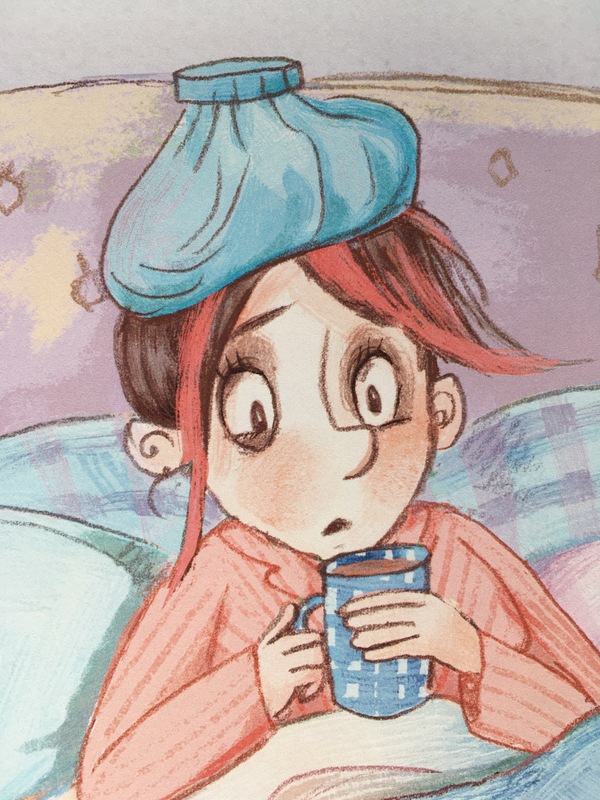 Repetition– Each page ends with ‘That’s why we didn’t feel well’. Children love repetition of phrases. It allows them to participate in the story by remembering and saying the phrase themselves. 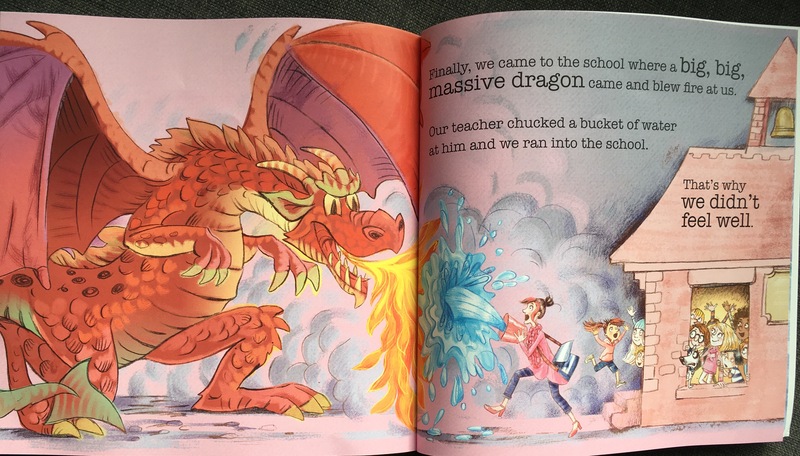 Phenomenal Illustrations– We absolutely adored the illustrations in this book. They are fun, colourful and full of detail and expression. 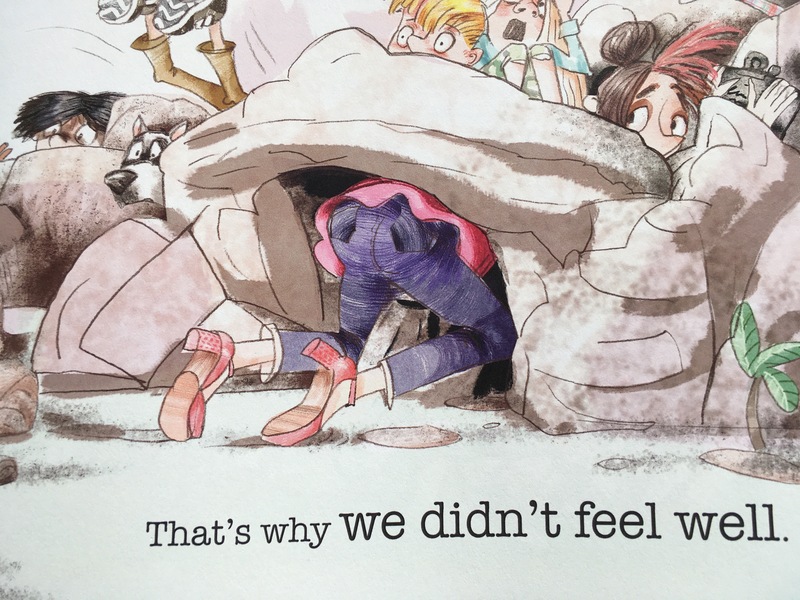 Humour– Without spoiling the ending..the last page of this book is amusing and had my children giggling! 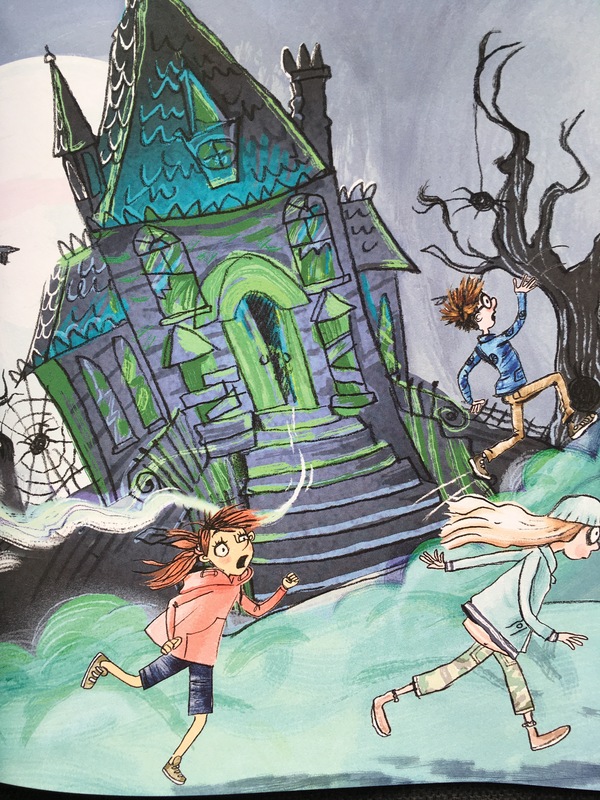 A spooky tale is a fantastic, colourful page turner for choldren. The vibrant illustrations and scary journey will have your little one enthralled but not to scared! Thank you Glad you enjoyed the tale.